We love this Premiere Ballroom wedding. 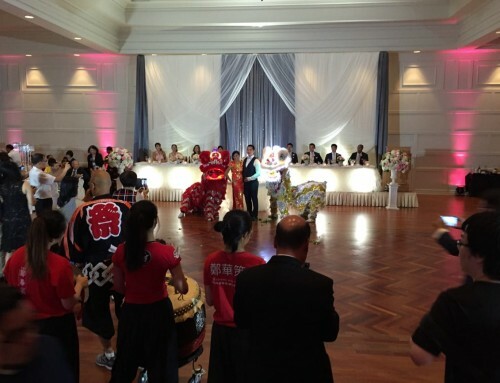 Premiere Ballroom & Convention Centre is an elegant venue for a Chinese Wedding. 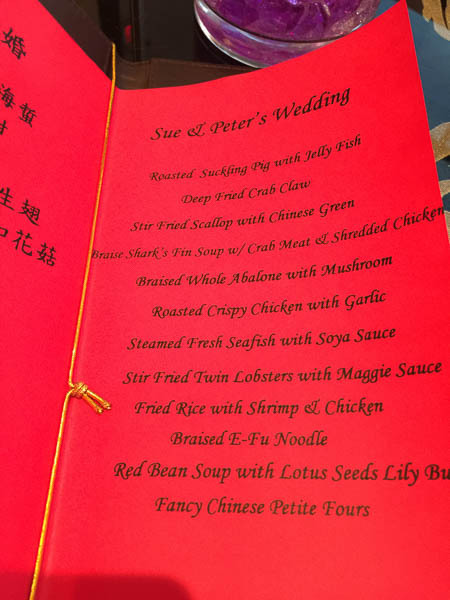 We love the food and the overall ambience – both set it apart from other Chinese Wedding venues. 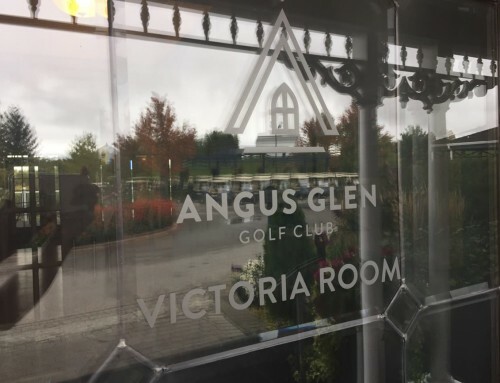 We’re here for Sue and Peter tonight. 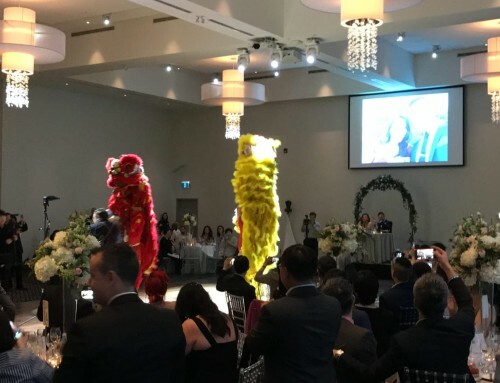 Our Chinese Wedding MC kicked off the evening by introducing the bridal party – Cantonese and English versions. We, of course, accompanied the bridal party with awesome music as they strutted into the room. 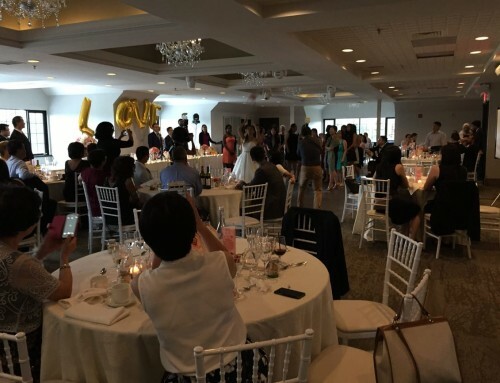 Our team had prepared a program for the evening and it included things like the speeches, games run by our Chinese Wedding MC, dress changes, and, of course, the dance floor. Our objective was to fuse traditional Chinese elements with modern twists. We thought this was necessary to cater to the young and old in the crowd. Congratulations Sue and Peter! It truly was a SWEET ending to a new BEGINNING. 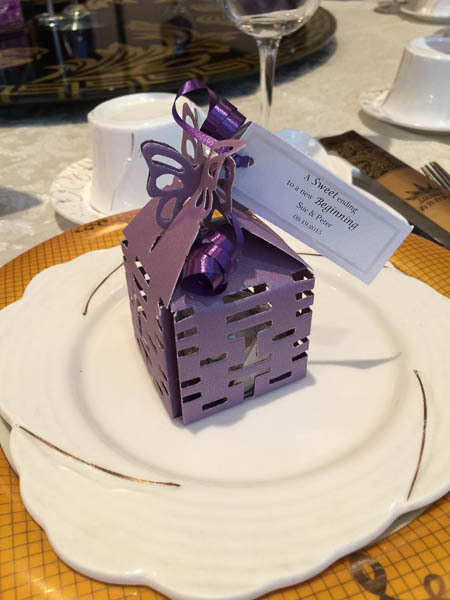 Gifts for guests are place together with the table settings. This was an extensive 12 course meal. 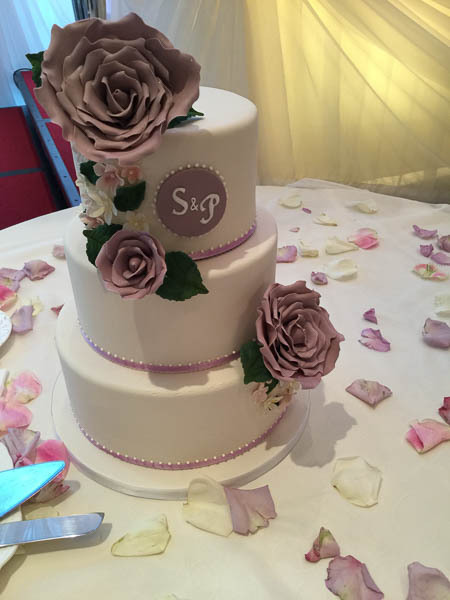 An elegantly tall wedding cake for Sue and Peter. 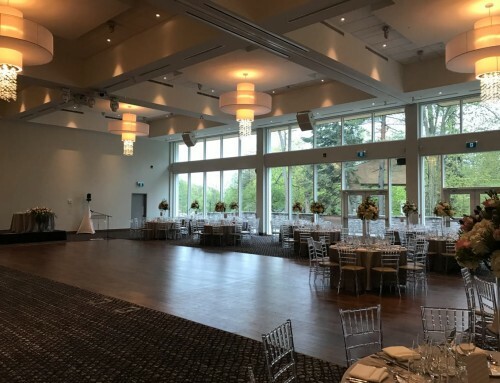 The head table is nestled on the west side of the room where the windows are. 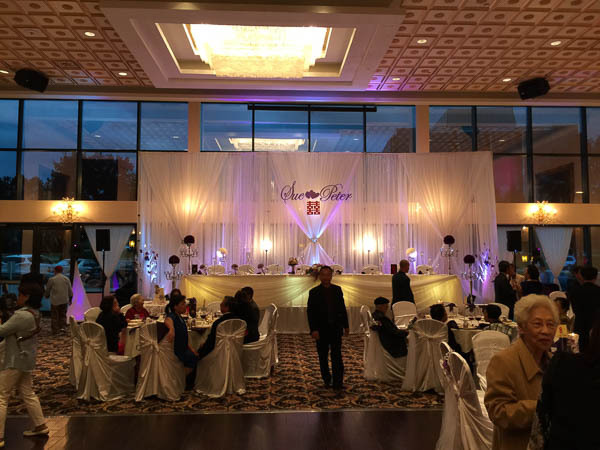 We supplemented the backdrop with uplights to make it pop up. A look behind the scenes. 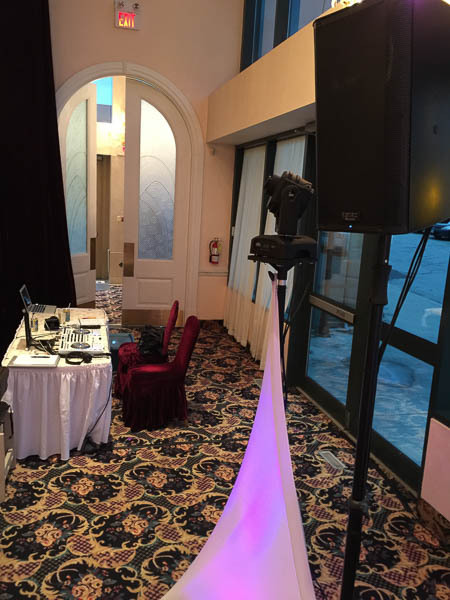 Our console, speakers and lighting equipment are vital to the evening’s entertainment. 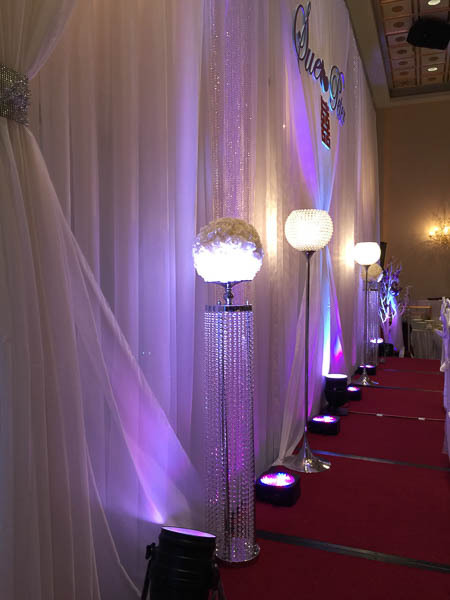 These uplights project any colour to highlight the head table. 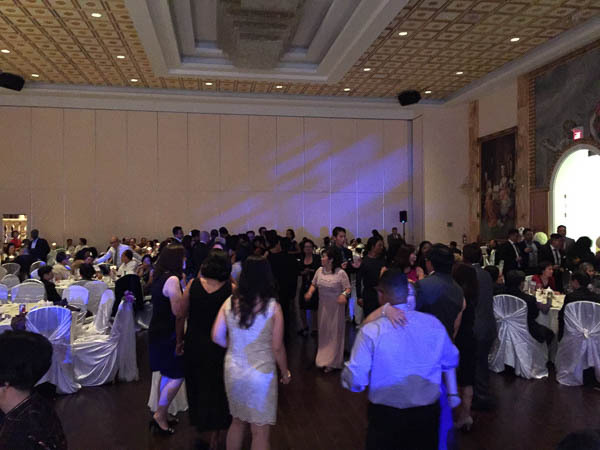 We had a sizeable dance floor at this Premiere Ballroom wedding.